Right, one more to show today! 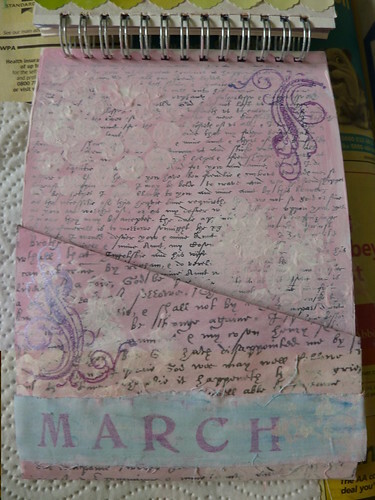 Step 1 – Paint a scrap of fabric with blue paint. Stamp with text. 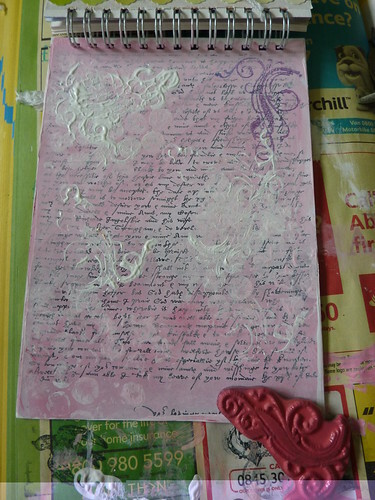 Step 2 – Glue down page with old handwriting on it. Paint over with pink paint. Randomly print white paint with bubble wrap. 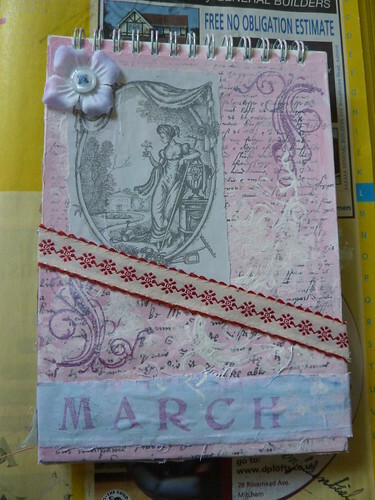 Make extra piece which will fit over the bottom of the page. Glue fabric to bottom. Step 3 – Fit paper to bottom to form pocket. 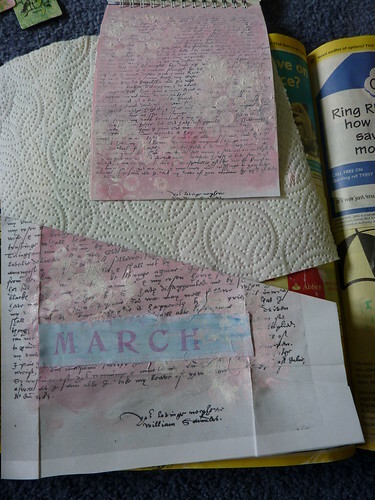 Print with stamps then remove. 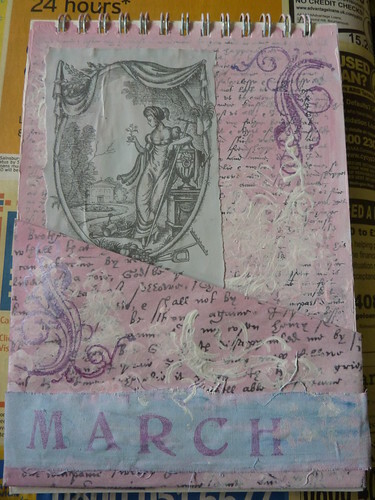 Step 4 – Print page with same stamp but with white gesso this time. 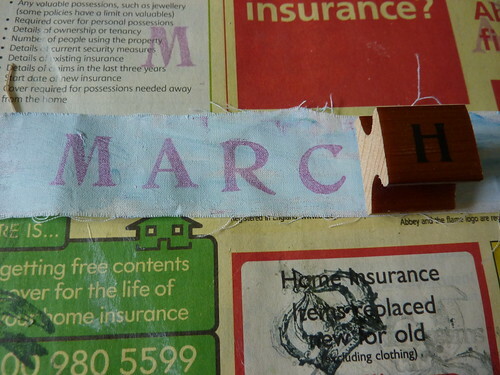 Step 5 – Glue down image, and glue down pocket. 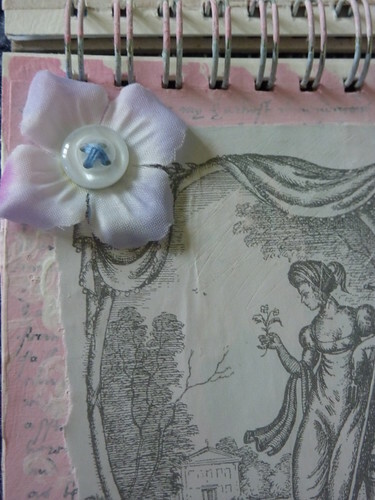 Step 6 – Attach button to flower, glue on at top.